Celebrate the growth and success of the extraordinary organizations in our network. 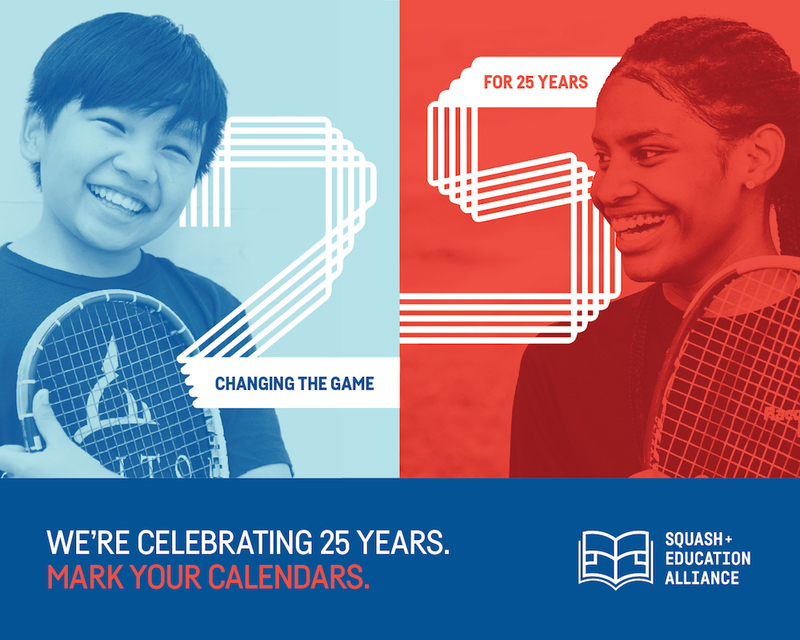 Located in 28 cities in six countries, our programs use the game of squash to empower young people and provide life-changing educational opportunities. Join generations of players, friends, and supporters as we commemorate 25 years, reflect on our history, and prepare for what’s ahead. Semifinal round matches of the J.P. Morgan Tournament of Champions in Grand Central Terminal. Women’s matches are 5pm-7pm, and Men’s matches are 8pm-10pm. A one-day conference, held at the Yale Club, connecting leaders and stakeholders of the network, as well as outside experts in education, sports and philanthropy, to examine challenges and opportunities, profile success stories, and chart a course forward for the SEA network. A welcome reception for attendees of the Leadership Assembly, supporters of SEA and our member programs, and guests to kick off the celebratory weekend. Reception to take place at the Yale Club. Final round matches of the J.P. Morgan Tournament of Champions in Grand Central Terminal. A team squash competition, held at StreetSquash in Harlem and other New York squash facilities, pitting old friends and rivals against each other on the court and in fundraising. The 2020 U.S. Century Squash Doubles Championships will also take place over the course of the weekend. First round play begins on Friday, January 17 at various New York area squash clubs, with the final round taking place on Monday, January 20 at the University Club.